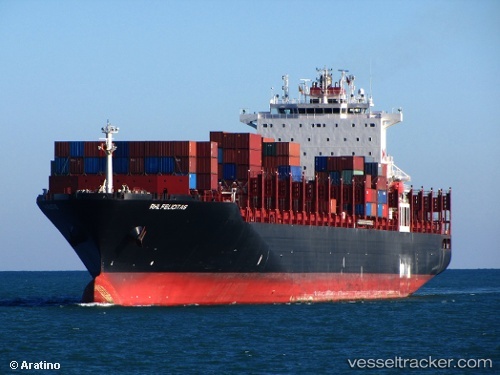 On July 17, the Suez Canal Authorities have arrestedthe "Panamax Alexander", "Aeneas", "Sakizaya Kalon" and "Osios David", regarding fees for tugs, damaged buoys, refloating and damages to maritime route. The arrested vessels have been towed to Bitter Lakes. After the accident of the "Aeneas" a total of 18 ships from the southbound convoy that had been waiting at Great Bitter Lakes on july 15 started resuming their transit at about 7 a.m. on July 16. Only 11 ships from a total of 29 ships in this day’s convoy entered the canal, while the rest was waiting at Port Said anchorage for SCA transit arrangements. Only six ships from the northbound convoy had entered the canal after the ship was cleared. These were waiting at Great Bitter Lakes. The remaining 12 ships from the convoy remained at Suez anchorages. About 25 ships registered on northbound convoys on July 16 were at Suez Anchorages awaiting SCA Transit arrangements.